After three years of successful collaboration with Audi Group, Scuola Politecnica di Design is to collaborate again with the Italian brand Alfa Romeo. Scuola Politecnica di Design and Alfa Romeo will grant eight scholarships in order to participate to the Car Design Master's Course which will begin on October 17th 2007 and finish in June 2008. The aim is to select the best students and professionals, providing them with an excellent training with the protagonists of automobile design. The Master Course - coordinated by professor Mario Favilla - will be carried out with Centro Stile Alfa Romeo led by Frank Stephenson. Students from all over the world will design and develop a concept car for the famous Italian brand. Participation to the Master Course is open to candidates who have a degree from schools / universities of design, engineering and architecture, or to people with significant experience and skills in car design. Besides theory and design lectures held by world famous car designers, the programme also includes visits to car companies, styling centres and museums. In Milan, the capital of design, Scuola Politecnica di Design (SPD) organises annual Master’s courses. With over 50 years of experience in the field, these courses range from product design to interior design, from communication to multimedia. Didactics is personalised, in a human sized environment promoting easy contact with the faculty and the staff. The aim is to select the best students and professionals, providing them with an excellent training with the protagonists of automobile design. 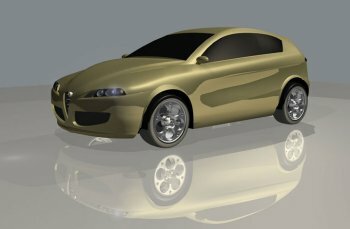 Image: Project from the 2004 course held in collaboration with Alfa Romeo. After three years of successful collaboration with Audi Group, Scuola Politecnica di Design is to collaborate once again with the Italian brand Alfa Romeo and it will offer eight scholarships. 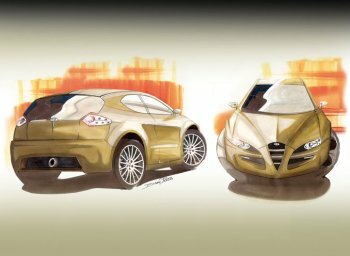 Image: Project from the 2004 course held in collaboration with Alfa Romeo. and professionals. Since 1954 this school has worked with Italian design, seen it grow and develop into what it is today. The artist Nino di Salvatore set up SPD in 1954. As a painter and sculpturer, he has captivated and brought together artists, designers, professionals and students from across five different continents. Bruno Munari, Gio Ponti, Max Huber, Pino Tovaglia, Isao Hosoe have all taught at SPD. Guests at the school include Achille Castiglioni, Rodolfo Bonetto, Roberto Sambonet, Donald Norman and Tomato. Today, working along side young designers, experimenting with real projects and designs, training new talent are Piero Lissoni, Stefano Giovannoni, Denis Santachiara, Andrea Branzi. An outstanding past has been extremely rewarding with exceptional recognition of the school: Boasting the exhibition at the Biennale di Venezia in 1986, at the Carrousel du Louvre and at the Centre Georges Pompidou in Paris; the ‘Medaglia d’Oro’ at the tenth Triennale in Milan and even the ‘Compasso d’Oro’ awarded by the ADI - Associazione Disegno Industriale in 1994; not to mention the honour of being granted twice the SMAU prize for Industrial Design.